The ranch that Harding Land & Cattle Company purchased in 1989 has a very rich and colorful past. There is no doubt that elk, wolves, bear and buffalo graced its landscape in the previous centuries. The ranch has certainly seen many Native Americans walk its hills and valleys during that same time period. The Powder River country was a region frequented by several Native American tribes. With the coming of the wild days of the American West, the Harding ranch also saw its share of cowboys, homesteaders and drifters. Since William J. Bradshaw made the claim on Locate Creek in the late 1800’s, the entire ranch stayed in the Bradshaw family until the Harding family purchased it. The following account of the Harding Land & Cattle Company Ranch history has been put together to the best of our knowledge. We apologize if any particulars have been recorded incorrectly. Perhaps it’s fitting to start with the most distant “known” history first. In 1876, as General George A. Custer and his famed 7th Cavalry were making their way to the Little Bighorn, Custer’s troops traversed the northern edge of Harding’s ranch. According to historians who have retraced Custer’s route to the Little Bighorn, the ill-fated cavalry columns traveled west along what is known as Coal Creek, today. After leaving the Harding Land & Cattle Company ranch, Custer is believed to have continued along Coal Creek, proceeding west until reaching the Powder River, then north to the Yellowstone River and then west again toward the Little Bighorn. In those days, the land was still wild and untamed. To a cattle rancher’s eye, this prime grazing country was just waiting for someone to claim it. William J. Bradshaw, born in England in 1861, made his way to America, and in 1885 helped trail a herd of cattle from Texas to eastern Montana. Bradshaw stayed in the area for a while, finding work with several outfits before finally making the claim on Locate Creek. In doing so, the Bradshaw ranch came into existence, beginning a long saga of cattle ranching in eastern Montana. They were modest beginnings. By 1892, Bradshaw had a herd of 15 cattle and obtained a brand from the renowned saddle maker “Charles E. Coggshall” of Miles City to put on them. Unfortunately, all but one cow was rustled soon after. In 1889, William married Edith, a Scotland native who was visiting in Miles City. The couple’s first home was a log cabin made out of Cedars. In 1910, after 20 years of living in the modest cabin, the Bradshaw’s built a modern day house with 13 bedrooms and all of the trimmings. This house is where Harding Land & Cattle Company’s present-day ranch headquarters are located. In 1919, a large cement barn was built near the large house. The barn became a local landmark during the subsequent decades, as many social gatherings and community dances took place in the barn’s large loft. After Mr. Bradshaw’s death, the ranch was split between two sons, Joe and Allie, and in 1942 it became two separate outfits. Allie eventually moved down Locate Creek about three miles and built up a new homestead on his half of the ranch. 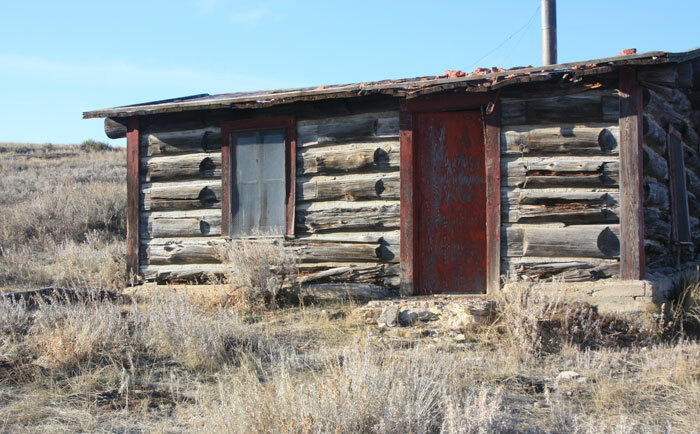 During World War II, lumber and building materials were hard to come by, so a house was moved from a location near Terry, Montana roughly 30 miles to its present day resting place on the Harding Land & Cattle Company ranch. Joe passed away in 1945, leaving his half of the ranch to his kids, none of whom took over the operations of the ranch. As Allie continued to operate his part of the original Bradshaw ranch, Joe’s children leased the other part out. In 1957, the Graham family assumed the ranch lease on Joe’s half of the ranch. This lease stayed with the Grahams for nearly 30 years. Several notable occurrences took place in that time period. Among them, in 1980, the historic Bradshaw barn was destroyed by a violent tornado that narrowly missed the house as well. Allie passed away in 1977, leaving his portion of the ranch in his son’s hands. The early 1980’s also witnessed the onset of a terrible drought in southeastern Montana. For nearly a decade, the land was deprived of the moisture that was so needed to sustain any cattle. The drought proved to be worse than the dust bowl years for this particular area. Many ranchers and farmers were forced out of business. From 1987 on, the ranch lease was passed along several times before Joe’s daughter finally decided to sell it. Allie’s portion of the ranch also came up for sale during the same time. 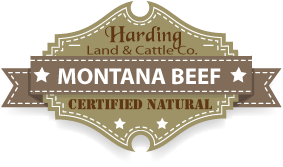 When the Harding family learned that the two Bradshaw places were up for sale, they realized that they not only had the opportunity to buy a great eastern Montana cattle ranch, but also the opportunity to reunite a ranch that had been started over 100 years earlier, and then split in half in the 1940’s. In 1989, the Harding family purchased the old Bradshaw ranch and Harding Land & Cattle Company was born. Since that time, many improvements have been made to the ranch. One hundred miles of new fence has been built in an effort to better utilize the pastures on the ranch. Also, in order to make water available where it had not been in the past, water systems have been improved by drilling additional wells and installing miles of pipelines and new tanks. Managing the wild-game resources on the ranch is very important to Harding Land & Cattle Company. In order to offer the public the opportunity of hunting in prime eastern Montana badlands, the Harding Ranch entered the Block Management Program. The Block Management Program is administered by the Fish and Wildlife Department, who, under the program, is responsible for managing the hunting activities on private lands.